Look out, pro skiers! 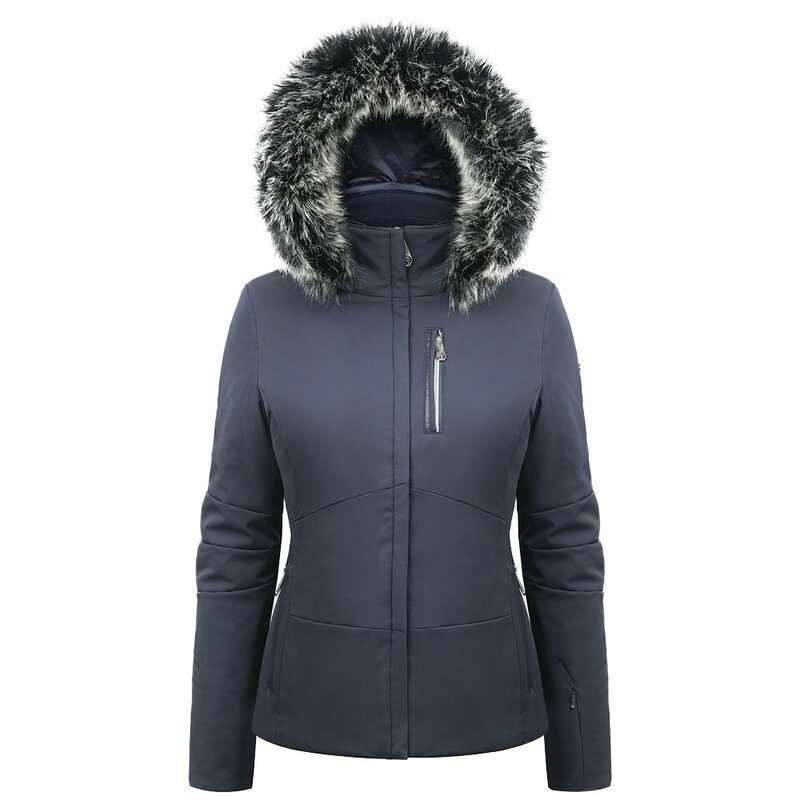 The Poivre Blanc Stretch Ski Jacket with Faux Fur is an unbelievably feature-rich ski jacket with a sleek, solid color design that's sure to steal the show on the hill. A 10K waterproofing/breathability rating lends extra protection during rainy or snowy days, and both the faux-fur lining on the hood and the hood itself are removable for three different looks. Poivre Blanc wanted this jacket to be comfortable, so it has an articulated, slightly-bent sleeve design to encourage a natural bend of the arms. Extra ski features on the Stretch Ski Jacket you're sure to appreciate include an adjustable bottom hem, a left-arm ski-pass pocket, an internal headset cable patch, and even a fleece lining on the neck for extra warmth. The highly-breathable fabric of this jacket lets water out, not in. Four-way stretch with elastane moves with your body. This jacket is heavy on ski features like a pass pocket, headset patch, and stretchable cuffs and hems. "Does this jacket have pit zips? " Peter Glynn was easy to work with, did not have the size in the store, but made sure we had the jacket in time for the graduation party.